The Mona Accent Bench can be easily incorporated into any décor while providing stylish seating for your home. 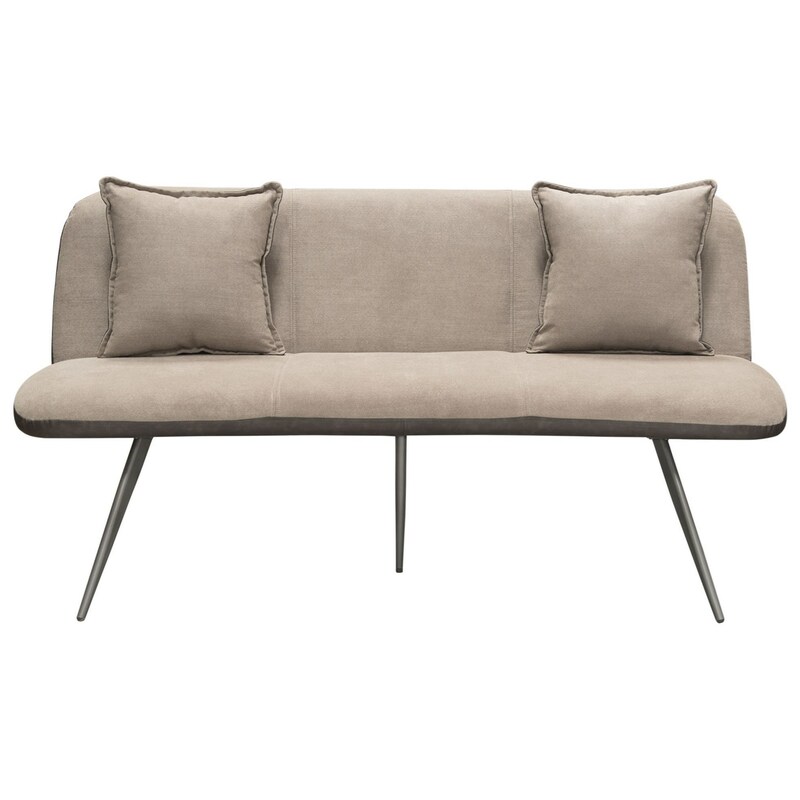 With its soft lines, coffee polyester fabric interior and coffee leatherette exterior & painted metal legs, the Mona Bench is comfort and style all rolled into one. Perfectly suited for any room of the house to provide stylish additional seating. The Mona Accent Bench by Diamond Sofa at Red Knot in the Oahu, Honolulu, Kapolei, Pearlridge, Salt Lake, Hawaii area. Product availability may vary. Contact us for the most current availability on this product.